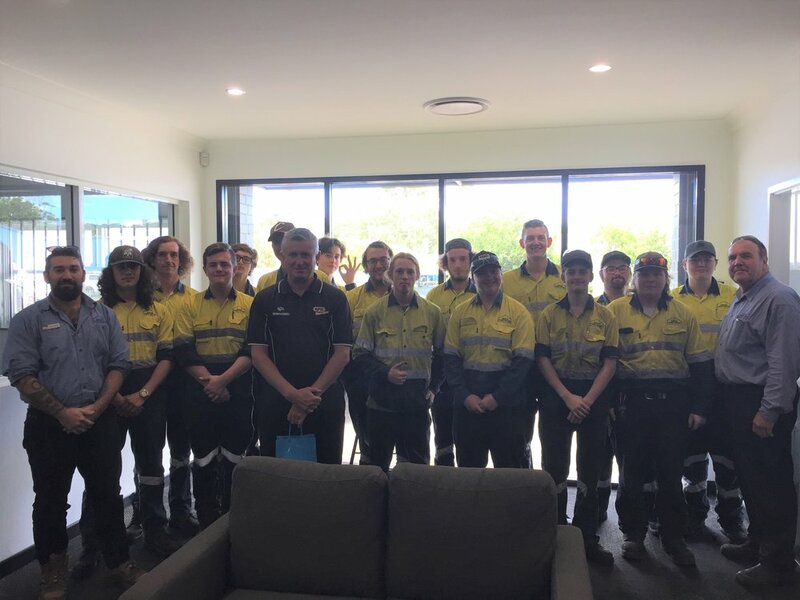 On Thursday 21 March our Year 12 students took the opportunity to take things on the road and head down to All Four x 4 Spares at Kotara. Accompanied by 3 staff members, 16 students jumped on a mini bus and travelled down to the business to find out a little bit more about the four-wheel driving industry. General Manager Peter Harris and his team opened up their showroom, workshop and training room to give our students a thorough insight into their business and the 4x4 world. Students had the opportunity to look around the showroom at the fantastic gadgets and upgrades on display – I’m sure a few of our students would have loved to spend a bit of money here! The team at All Four x 4 explained the technical side of some of the upgrade options their customers can choose from. Our students showed a great deal of interest and knowledge as they asked well thoughtful and probing questions to learn more about the industry. Peter talked about the sheer size and volume of their customer base – everyone was surprised at the number of enquiries they get on a Monday morning for spare parts or 4WD’s that need repairs after a busy weekend on the offroad tracks! We got to have a look around their large workshop and see their very organised and efficient system of making sure their tradepeople don’t lose time searching for parts. We also got to hear from a number of their department staff speak about various aspects of the business and the values they operate by. It was great for our students to hear from the team about the qualities they are looking for in their apprentices and how our students can make themselves stand out when approaching potential employers. We wrapped up the day with a BBQ lunch, which filled our bellies and satisfied our students! Thank you to Peter and all of your staff at All Four x 4 for providing this invaluable learning opportunity to our students. We appreciate the lengths your team went to in making sure our students had a well organised experience.